Available in 9ct/18ct Yellow Gold. 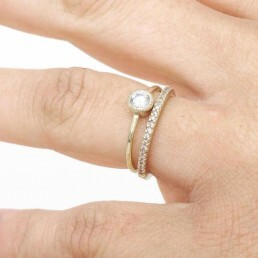 Understated, yet exquisite piece is perfect for that very special loved one. 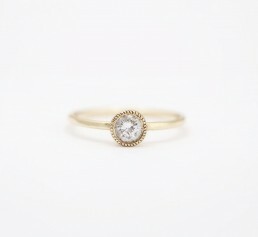 Suitable for an engagement ring. This handcrafted ring is lightly planished to give a glistening effect to the ring shank subtle yet eye catching, with a solid Gold setting to hold that beautiful sparkly diamond with a unique Milled Edge inspired by a sunbeam.